Hello Internet, I made you something. 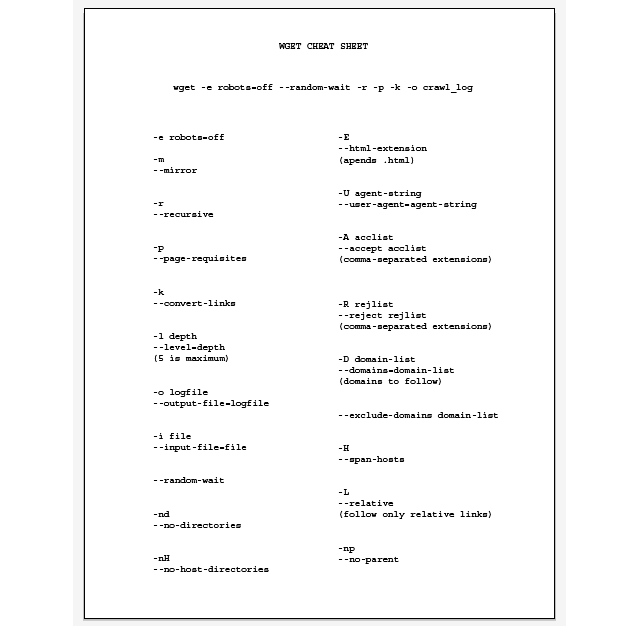 There seems to be a lack of a basic wget cheat-sheet. Today I got tired of referring back to the usual sources, which tend to include all possible flags, most of which I never use. Here’s a .pdf you can print and hang at your desk.